Who knew natural beauty could look and feel so good?! Dr. Lily Ros lipsticks are made with 100% all-natural ingredients and pigments, carefully crafted for a vibrant, moisture-rich look. For every day or a night out, these lipsticks provide long-lasting color whatever you’re doing, wherever you are. We love Dr. Lily because all of her products are cruelty-free and made with carefully-chosen, ethically-sourced ingredients from around the world. As a pharmacist, Dr. Lily meticulously formulates each item with pharmaceutical-grade techniques to ensure maximum quality and efficiency, not to mention they’re packaged in eco-friendly materials for easy and sustainable disposal! Free from parabens and synthetic chemicals, Dr. Lily Ros creates each product with care and attention, to ensure you don’t have to question, not once, the contents or quality of your makeup. 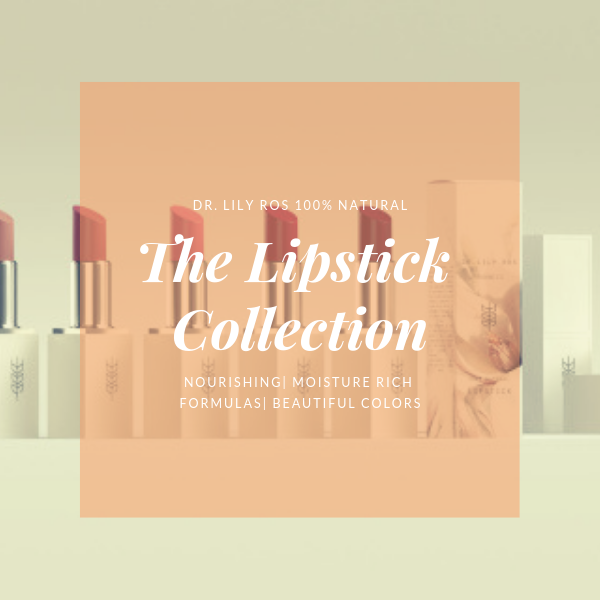 Completely transparent and dedicated to educating consumers on the products they put on and in their body, Dr. Lily creates these lipsticks with caution and consideration, so you can wear them with confidence, radiance and pride.